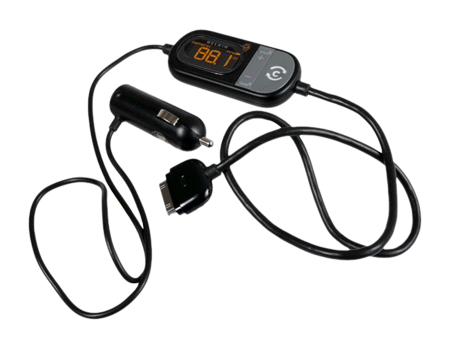 TuneCast Auto LIVE for iPhone/iPod is an FM Transmitter that allows you to play your iPhone/iPod music on your car speakers while charging it. TuneCast Auto LIVE for iPhone/iPod is an FM Transmitter that allows you to play your iPhone/iPod music on your car speakers while charging it. You can use your iPhone/iPod to control the TuneCast by downloading a free app ClearScan LIVE from the Apple App store. ClearScan LIVE provides improved results by using your GPS location to find the best FM station in your area, and recommending open stations based on what other people in your area are using.